The City of New York Early-Stage Life Sciences Funding Initiative represents an unprecedented public-private partnership across world-class academic institutions, industry leaders, top-tier investors, and the philanthropic community. Established by the New York City Economic Development Corporation (NYCEDC) with at least $50 million in matching funds from top-tier venture capital partners including Celgene Corporation, and Eli Lilly & Company, the funding partnership will deploy a minimum of $120 million and seeks to launch breakthrough ventures by 2020. 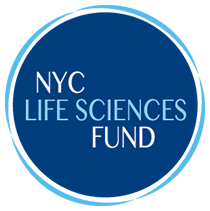 The Life Sciences Funding Initiative is part of a portfolio of City initiatives designed to champion New York City's early-stage life sciences ecosystem. It is designed to support the development of new technologies and products for patients and researchers, including therapeutics, medical devices, diagnostics, research and development instrumentation, and digital life sciences technologies. The program will anchor and accelerate the growth of New York City’s ecosystem for venture creation and early-stage research and development, ultimately transforming the landscape of life sciences in the city and advancing cutting-edge innovations for patients in need. With $1.8 billion in annual National Institutes of Health funding and the greatest concentration of world-class academic medical centers and research foundations in the country, the City offers a unique and robust pool of assets as a major center for life sciences and healthcare innovation. The Life Sciences Funding Initiative builds upon these strengths, and positions New York City as a leader in translating cutting-edge academic research into breakthrough products for patients worldwide. The Funding Initiative will also act as a game-changer for the local economy in New York City, deploying at least $120 million to create breakthrough life sciences ventures in the next few years. These investments in the commercial life sciences will lead to additional research and development dollars, fortifying the City’s leadership as a center for academic research and clinical care. Flagship Pioneering and ARCH Venture Partners, along with NYCEDC, Celgene, and Lilly, have entered into a co-investment partnership to invest in seed and Series A rounds. The funds will be invested directly into early-stage companies in a unique structure that incentivizes investors and entrepreneurs to create new life sciences ventures in New York City. Flagship Pioneering and ARCH Venture Partners were selected as anchor venture capital partners by NYCEDC with input from Celgene, Eli Lilly, and leaders from across the City’s academic community after a competitive selection process that evaluated firms across a number of areas, including their ability to (1) build a generation of new companies around cutting-edge science, (2) recruit first-class industrial research and development talent, (3) deploy sufficient follow-on capital over the long-term, (4) work alongside the City’s academic medical centers, research foundations and Strategic Investors, and (5) commit resources to New York City’s life science ecosystem. These two highly respected venture firms are positioned to help strengthen networks and spark interdisciplinary collaborations across the City’s leading life sciences stakeholders and attract a critical mass of serial entrepreneurs and managers with expertise in life sciences venture creation. As Strategic Investors, Celgene, and Eli Lilly will participate in an extensive advisory network, working closely with the venture capital firms to engage leading scientists and entrepreneurs to launch new companies in New York City. NYCEDC and the Strategic Investors plan to increase the scale of the Initiative by enlisting additional civic and strategic partners from philanthropy and industry. If you are interested in participating as a strategic investor, civic partner, or VC partner, please contact the NYCEDC life sciences team. Nina Tandon is the CEO and co-founder of EpiBone. As a native New Yorker, she is a passionate about seeing the biosciences thrive in her native hometown. Here, Nina champions the most recent string of city life sciences initiatives but believes that more can be done to ensure scientists have the tools they need to build their future in NYC. Home to top pharmaceutical companies and the most prestigious centers of basic science - not to mention the largest healthcare system in the country - NYC is uniquely positioned to lead in the life sciences. Here are all the ways we are nurturing the sector right here in the five boroughs. Three major initiatives will bolster NYC's life sciences industry: the City of New York Early-Stage Life Sciences Funding Initiative, Mount Sinai Institute of Technology, and Harlem Biospace. Deputy Mayor for Economic Development Robert K. Steel and New York City Economic Development Corporation President Kyle Kimball today announced two major initiatives to help New York City grow into a preeminent capital for life sciences innovation in the world.